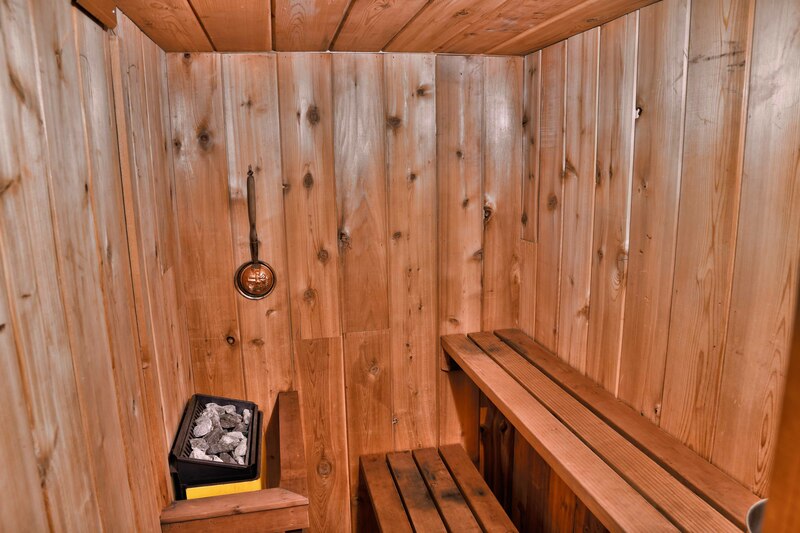 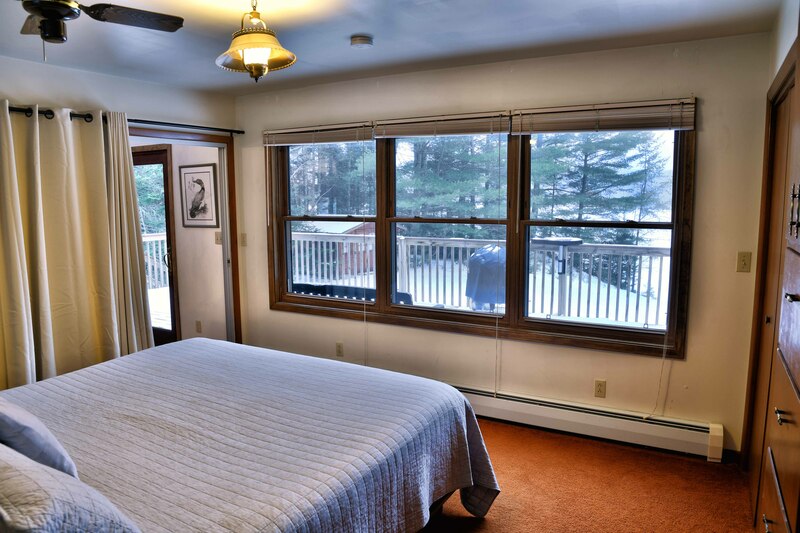 Nightly Rates: $135 for first 2 people, $25/night each additional person. 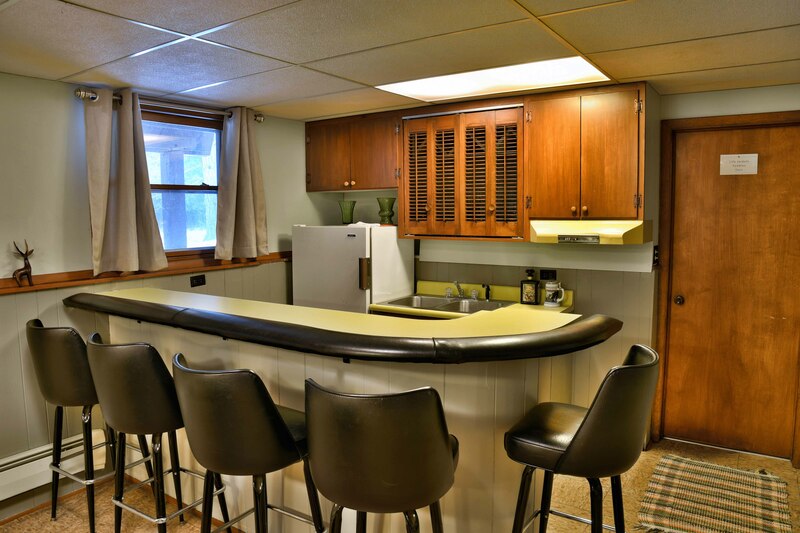 Looking for that Northwood’s waterfront vacation home getaway? 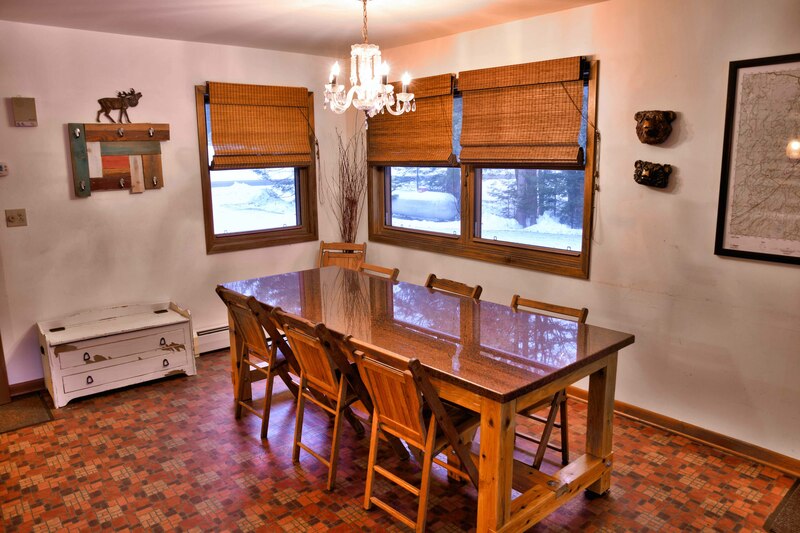 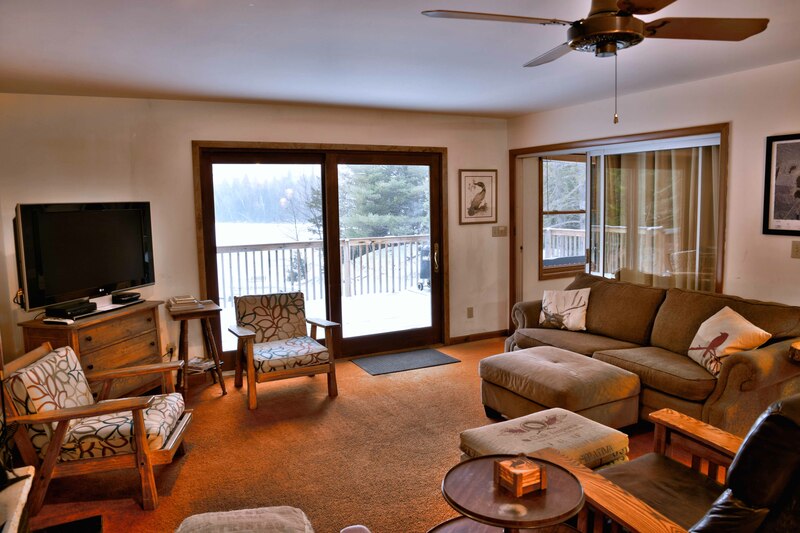 We are proud to offer, under new ownership….Elk Crossing Lakehouse. 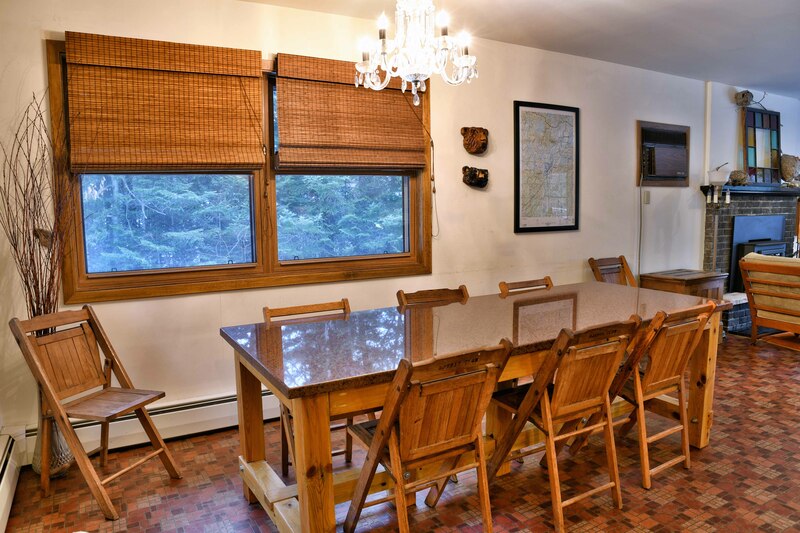 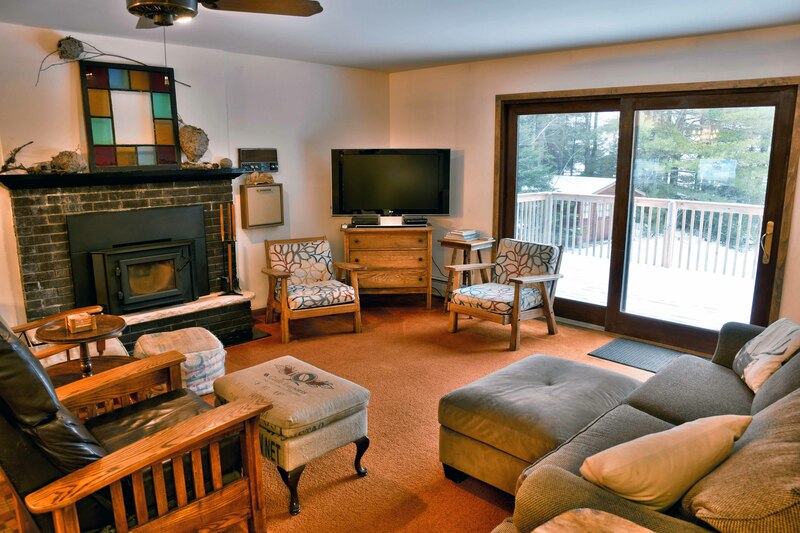 Formerly known as Maudie’s Manor, the Elk Crossing Lakehouse on Lower Clam Lake is a comfortable vacation rental with sandy lakeshore and good swimming. 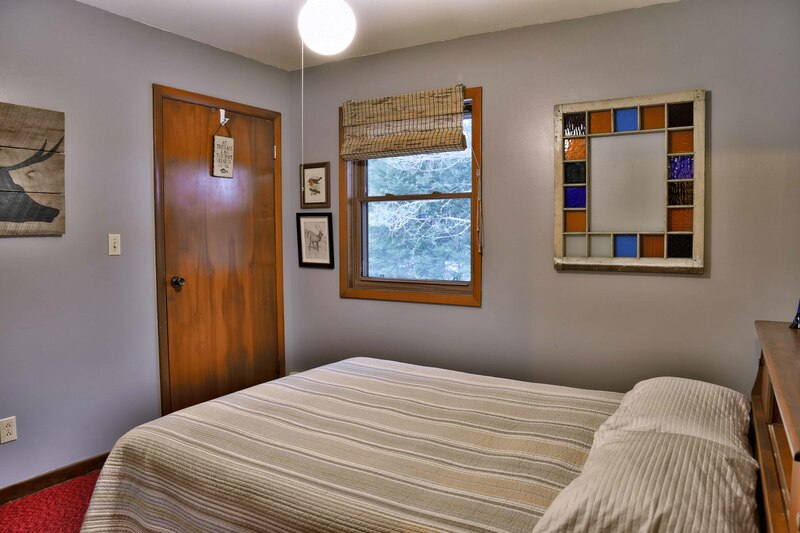 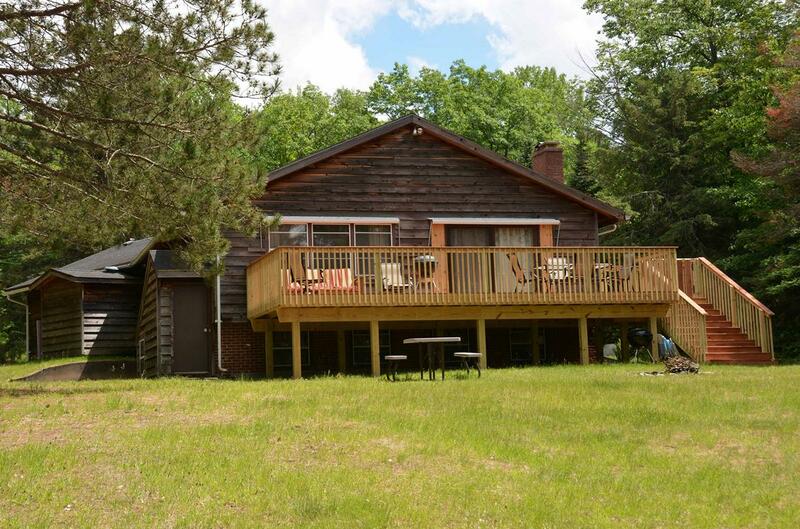 This very clean rental home comfortably sleeps 10 (crib and sofa sleeper provided) and is located on Lower Clam Lake approximately 2 miles from town. 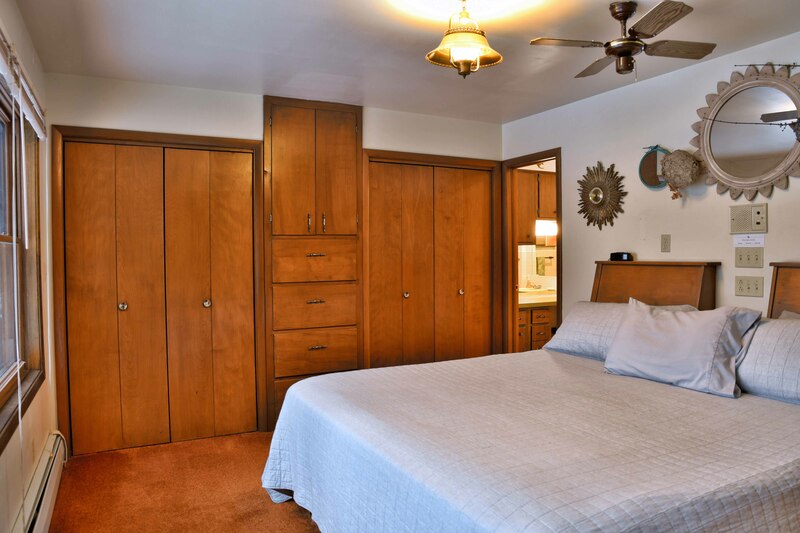 The 4 bedroom, 3 bath house with air-conditioning has a large lakeside yard that gently slopes down to a sandy lakeshore, swimming area and dock. 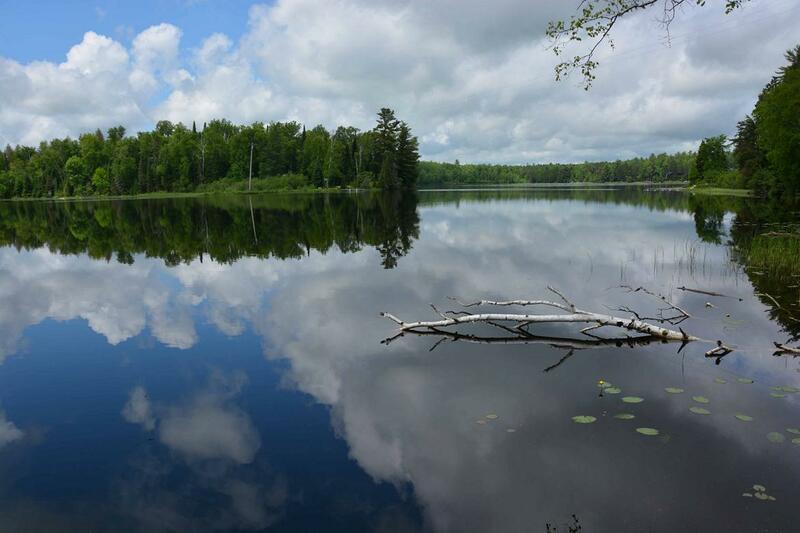 Enjoy a refreshing swim in the lake or bring your fishing boat and cast for musky, walleye, crappie and panfish in this very good 230 acre fishing lake. 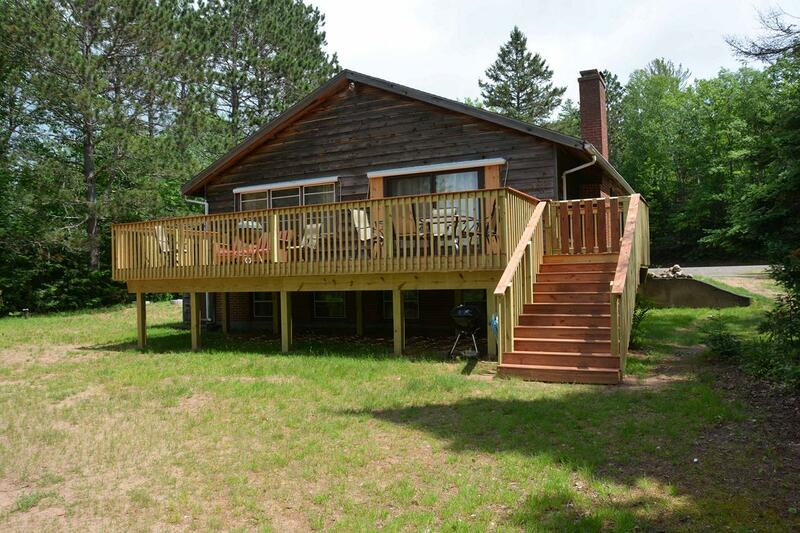 The rental includes paddleboat, row boat, and canoes for exploring the Northwoods waters. 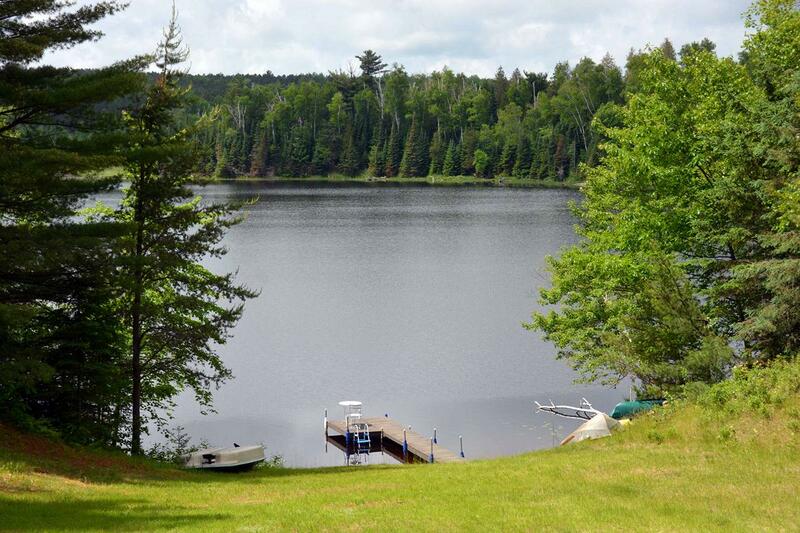 Enjoy a quiet tour of the lake that features large tracts of undeveloped shoreline within the boundaries of the Chequamegon National Forest. 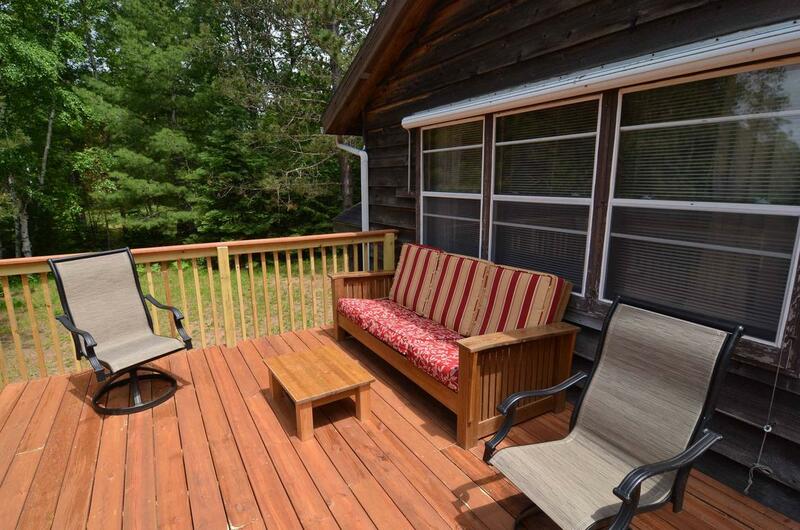 Add to your vacation enjoyment by lounging on the newly built large deck with living room walkout extra large patio door. 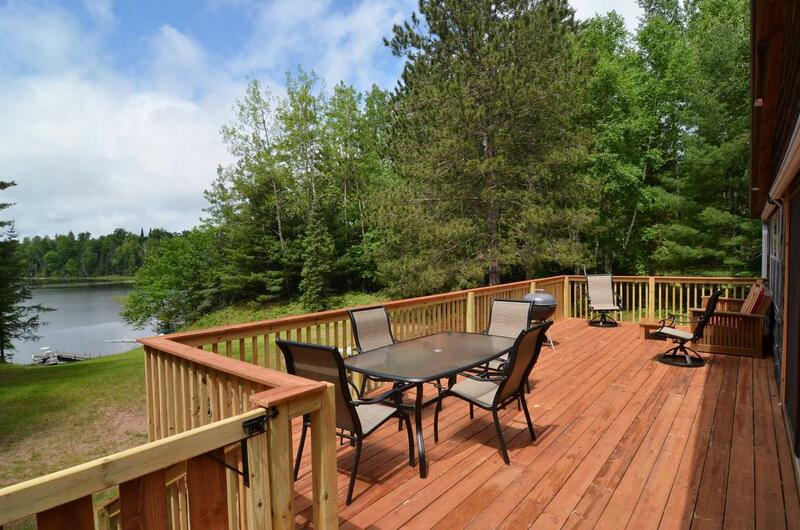 This spacious deck is equipped with patio furniture and provides a spectacular view of beautiful Lower Clam Lake. 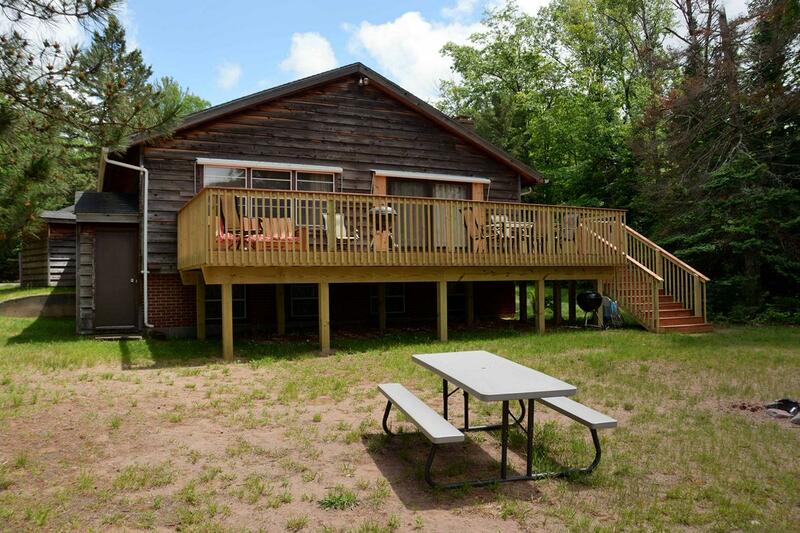 The deck has a latching gate for child safety and extra wide gradual steps providing easy access to the gentle slope down to the sandy beach. 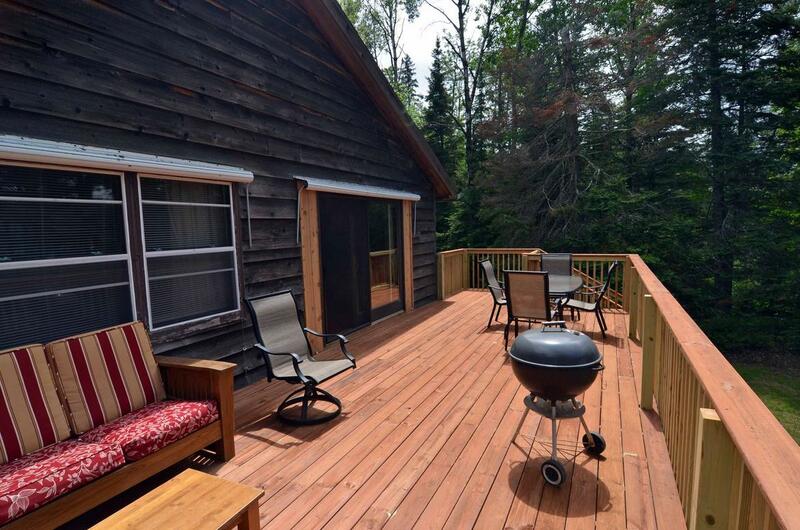 The view from this pet-friendly vacation rental looks out across the lake onto undeveloped National Forest shoreline where you may see elk, deer, bear, eagles and ospreys among other wildlife. 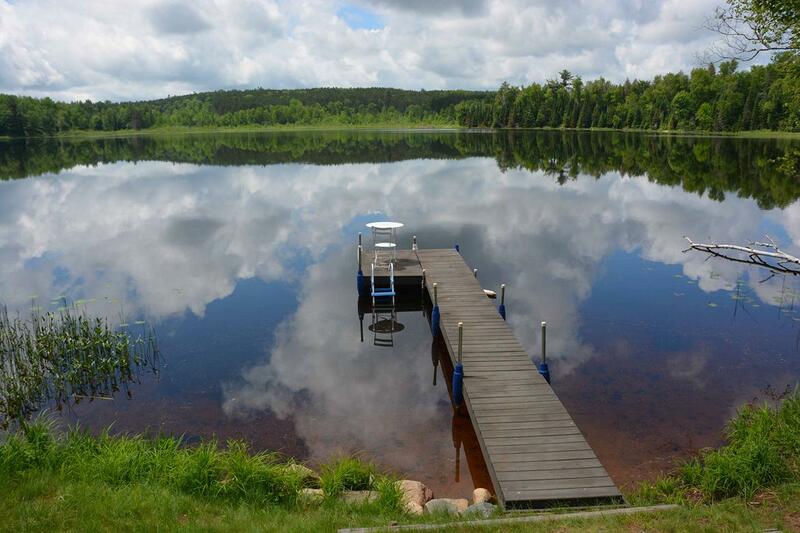 Whether you tow a boat or a trailer full of snowmobiles or ATVs, there is plenty of trailer parking available. 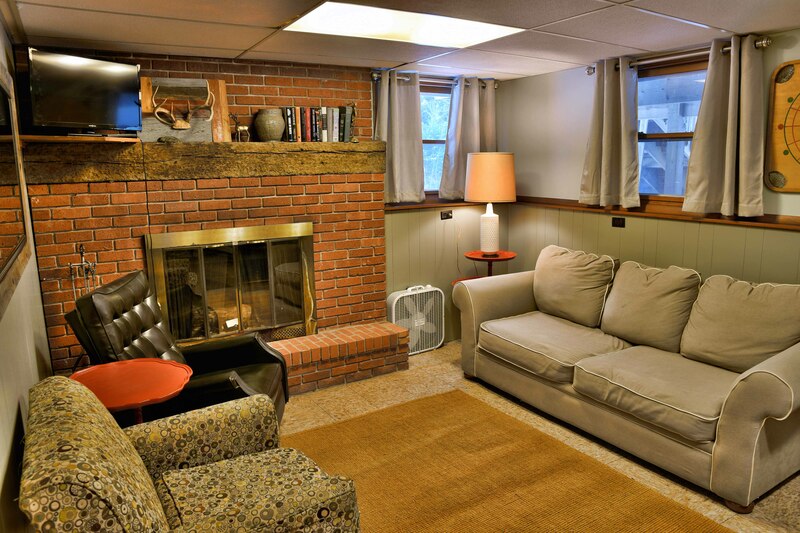 The open interior features 4 bedrooms and ample living areas on both the ground floor and lower level. 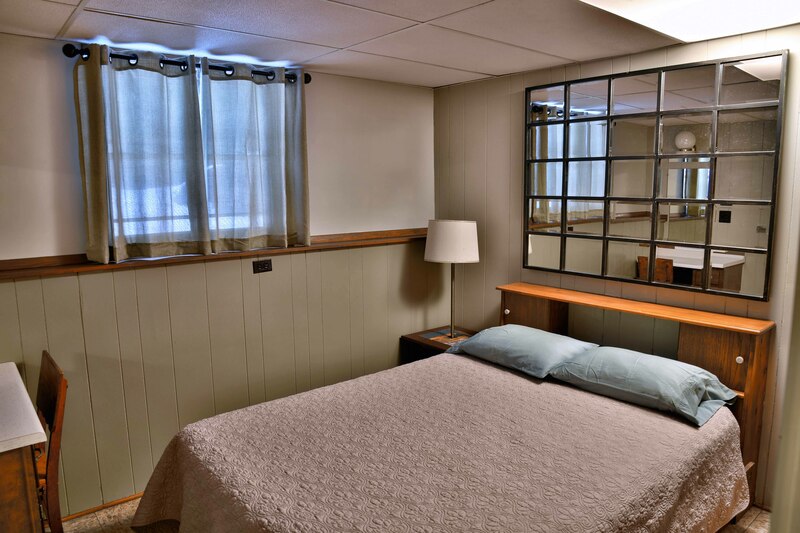 The four bedrooms and 3 bathrooms provide plenty of space for families or groups with 2 bedrooms on each level. 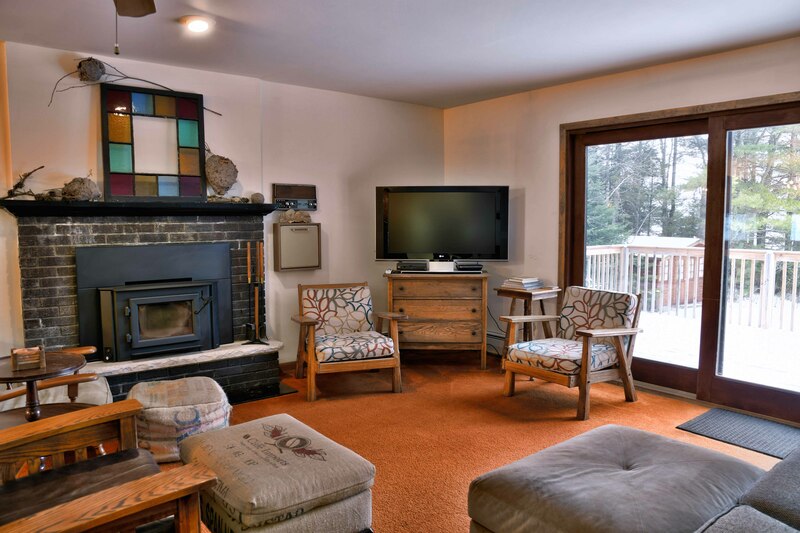 The ground floor has a lakeside master bedroom and bath suite, kitchen with all the essentials, comfortable living room with wood burning fireplace, large flat screen TV with Direct TV and DVD player, and 10 person dining room table. 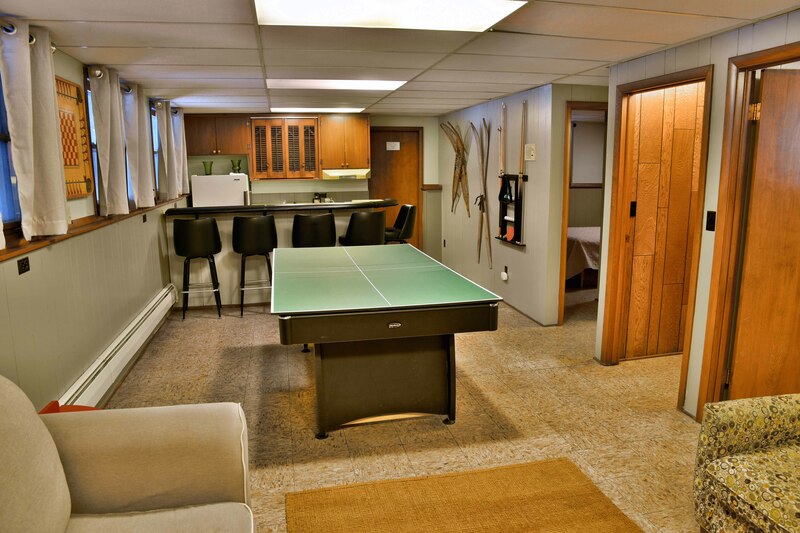 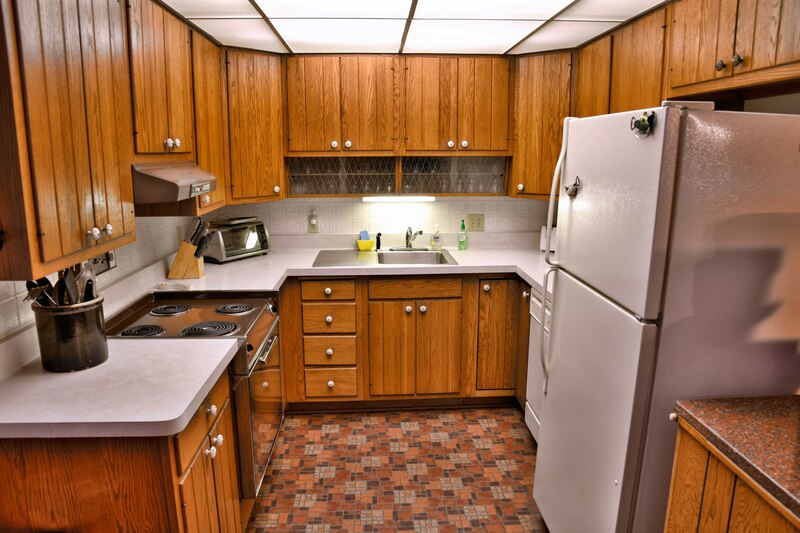 The lower level has a kitchenette and wet bar in a spacious family room with a wood burning fireplace and pool table. 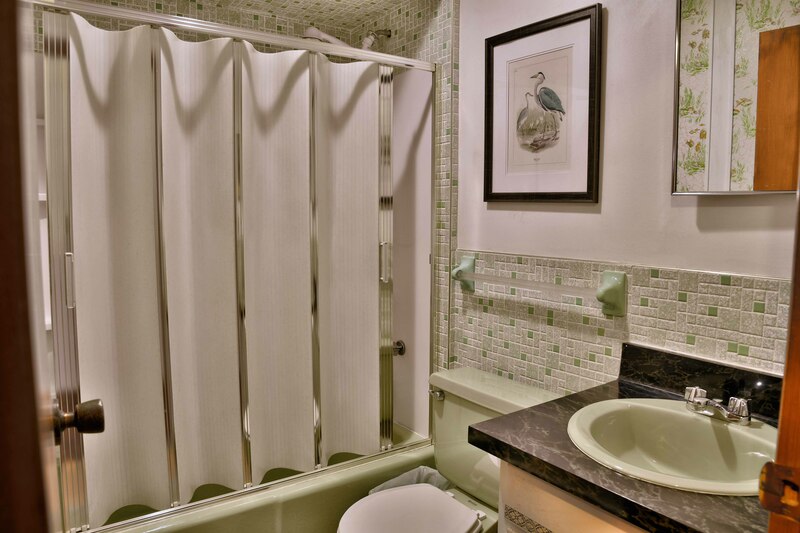 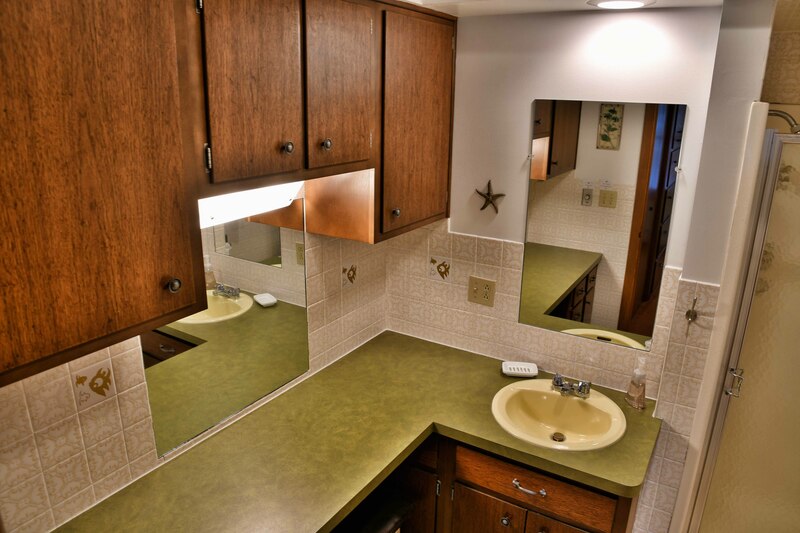 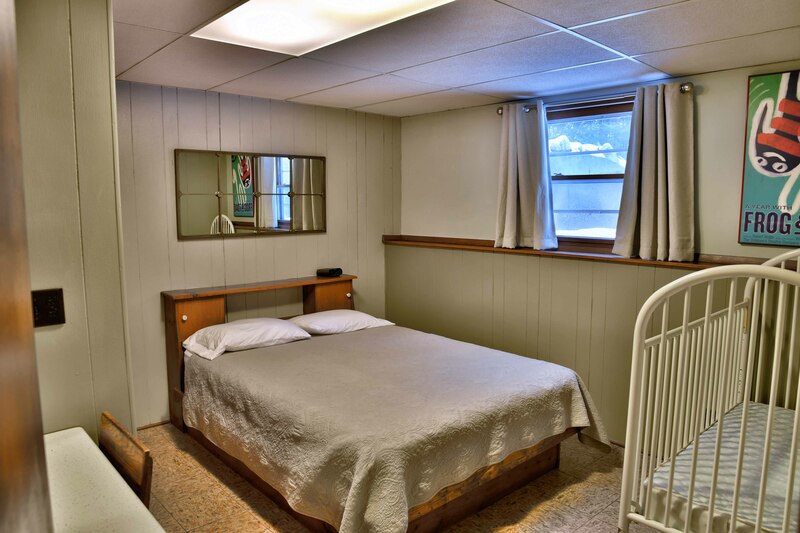 In addition to the 2 bedrooms (one with baby crib), the lower level also has a second full bath, washer/dryer and sauna.